Many of us know that omega-3 fatty acids are important to our health. It’s commonly believed that fish oil is the best source of omega-3 fatty acids, however various studies have proved that krill oil is more effective. The acid accumulates in the red blood cells and are important for overall health. Consumption of krill oil is more effective than fish oil in reducing the ratio of omega-6 to omega-3 acids. A study conducted by Dr. Peter Jones of Richardson Center for Functional Foods and Nutra-ceuticals found krill oil more beneficial than fish oil in many aspects. The study found that daily supplementation with 600 mg of omega-3 polyunsaturated fats for four weeks using krill oil is more effective in raising the omega-3 level index as compared to fish oil. The researchers believe that the benefits of krill oil over fish oil are due to the structural differences between the two marine oils. Krill oil and fish oil both provide omega-3 PUFA in different forms. Fish oil provides it in triglyceride form while krill oil provides omega-3 in phospholipid form. The effectiveness of both forms still remains a debatable issue. Krill oil has many critical health benefits. It contains astaxanthin which is a potent antioxidant. Antioxidants are important for boosting immunity and fighting disease. Krill oil also protects the body cells from damage from free radicals. Krill oil can reduce bad cholesterol (LDL) levels and increases levels of high density cholesterol which is considered good for our health. Krill oil is known for boosting heart health. Consuming krill oil improves blood circulation which enhances the health of our heart. A study was conducted of over 113 volunteers that lasted 7 weeks. It found that krill oil is more beneficial than fish oil in improving the omega-3 levels in plasma and red blood cells. People with arthritis may benefit from krill oil. One study found that those who took 300 mg of krill oil products daily had less pain than those who did not take it or had fish oil. Krill oil also provided relaxation of stiffness and improved joint function. Krill oil has benefits in the treatment of PMS, or premenstrual syndrome. A Canadian study found that women can manage emotional symptoms of PMS using krill oil. It was also found effective in reducing pain during periods. Some participants took krill oil for 3 menstrual cycles while others took fish oil. Participants who took krill demanded fewer painkillers than participants who took fish oil. Krill oil is also associated with improved brain function. As discussed above krill oil increases the omega-3 fatty acid index, deficiency of which leads to memory loss and cognitive decline of thinking skills. Studies conducted on animals confirmed this benefit of krill oil. It was also found that krill oil produces effects similar to antidepressants. Krill oil is beneficial for our skin and helps lessen the risk of skin cancer. Its extended skin benefits include improved skin texture, reduction in fine lines and wrinkles, relaxation of itchy plaques of psoriasis, and stronger nails. Krill oil can make hair look shinier and thicker in appearance. 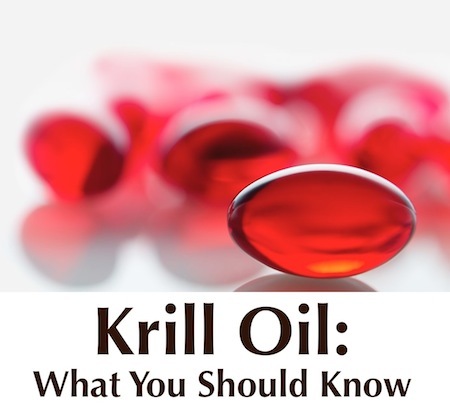 While it is true that krill oil is associated with all the above mentioned benefits, please note that there’re some phony krill oils in the market. What I personally found is that Viva Lab’s Krill oil contains the highest amount of Omega-3 and is also the best-seller on Amazon. You can buy it on Amazon here. Please ensure you consult your doctor before making krill oil or any other dietary supplement a part of your daily routine.